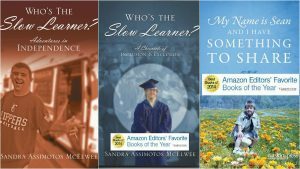 Three books written about Sean from Born this Way! Want to learn more about Sean? 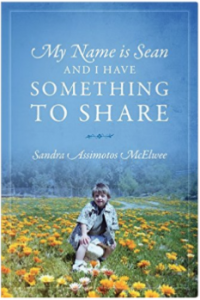 Visit http://sandramcelwee.com to order the three books written by Sandra (Sean’s Mom). You can even order autographed copies! Who’s the Slow Learner? 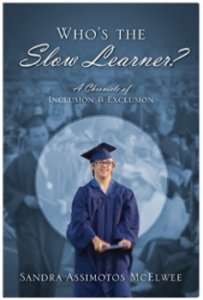 A Chronicle of Inclusion and Exclusion, Is the first book to chronicle a child with Down syndrome’s education experiences from preschool through high school graduation. Who’s the Slow Learner? 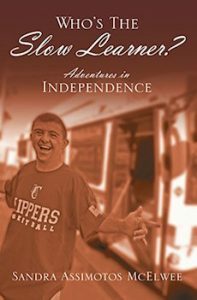 Adventures in Independence is the sequel–chronicling Sean’s funny stories, everything that happened outside of school continuing on through transition program, moving out and moving back home. My Name is Sean and I Have Something to Share introduces children to Down syndrome. I encourage parents to use it as a template to introduce their children to their typical classmates! Sean and Sandra are also available for public appearances! Visit the website for details.